Logos Quiz – Games for Windows Phone 2018 – Free download. 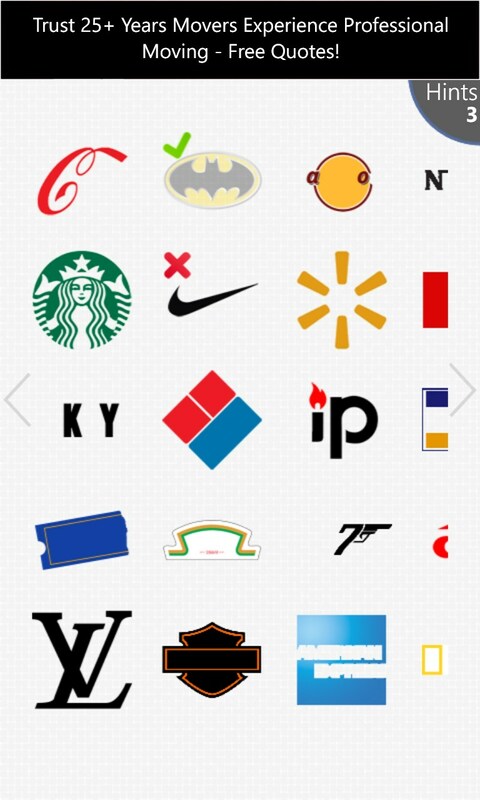 Logos Quiz – Guess brands by fragments of logos. 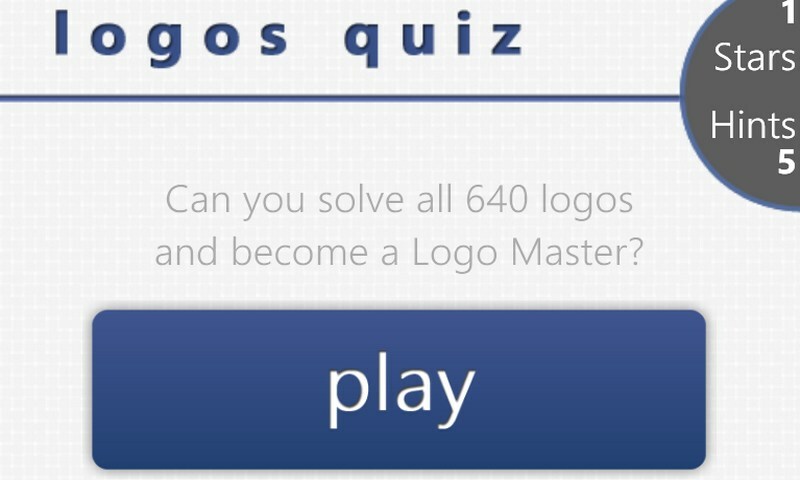 Logos Quiz is a very original puzzle game for Windows Phone, in which the winner can only be a person enlightened in the life of the civilized world. Despite the relatively simple design, the game is really addictive and it is easy to spend with it not only a couple of spare minutes, but also a few evenings. The only thing that the game is full of is a lot of different logos, nameplates, trademarks, brand names and other images somehow reminding us of a particular brand, specific product, company or well-known sports team. Generally speaking, the only person who can get at least some results in the game, is the one who really knows what they're looking at. However, even those who know a lot of brands, will break their head over this game. Most nameplates, badges and logos are erased halfway. Some of the names will be visible only in the form of a few letters. In addition, unlike some analogs in this game you do not have the opportunity to choose among several variants. That is, you have to both recognize the trademark or the brand and enter its name correctly in the cells situated under the playing field. This will not only cause difficulties for many users, but also make the game more fascinating. 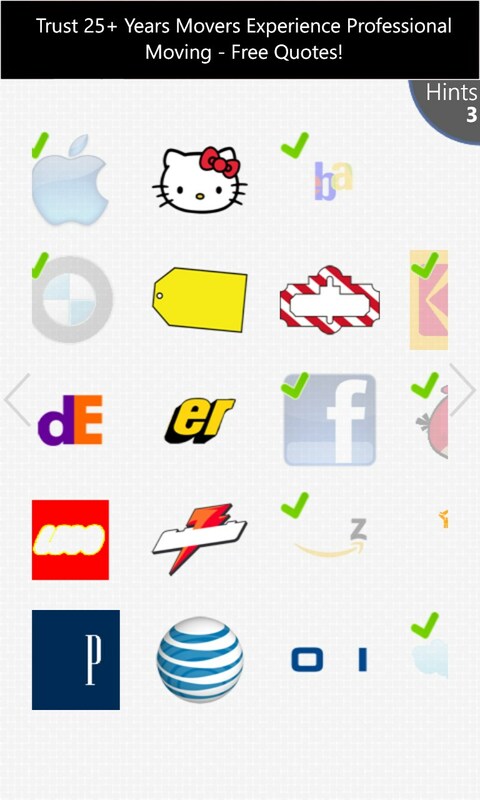 In cases when you start to doubt that you know the masked icon or name of the company, you can use tips. 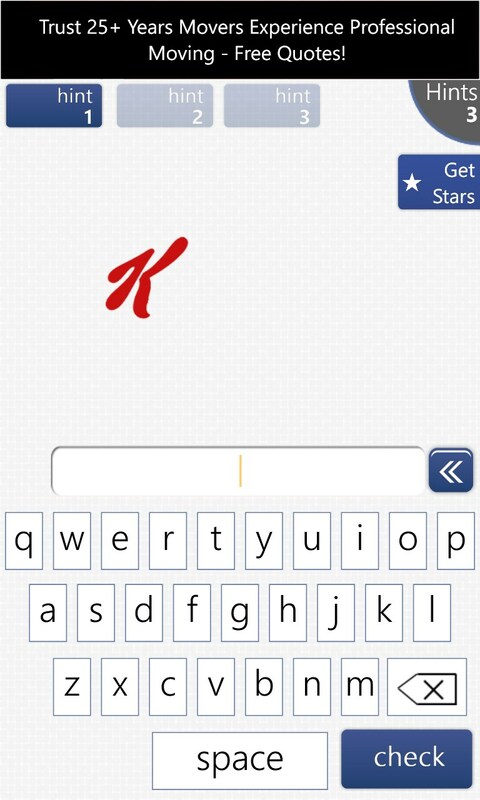 The first clue can tell about the direction of the activities of the company, the second hint explains it in more details, and the third one almost gives the answer. Of course, the game has full answers, but first of all using them it is not so interesting to play, and secondly, they are available not for everyone. 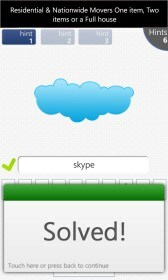 The game consists of several phases each of which contains a certain number of challenges. 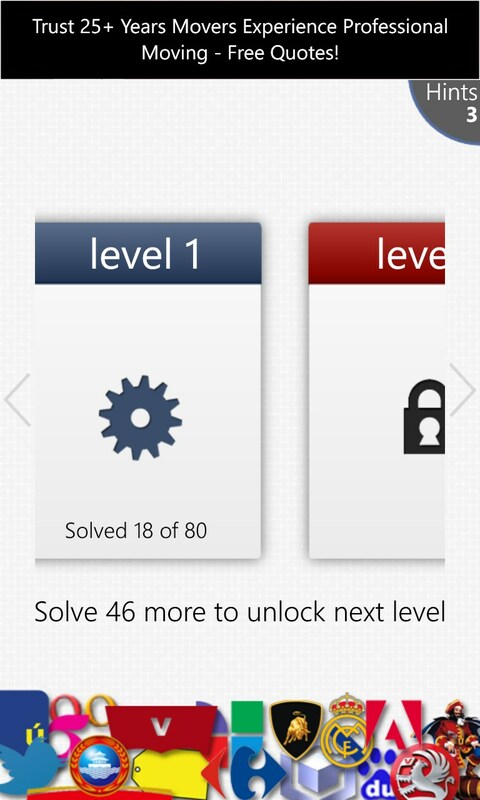 Until you find the answers to the challenges at the first stage, the second one will remain locked. 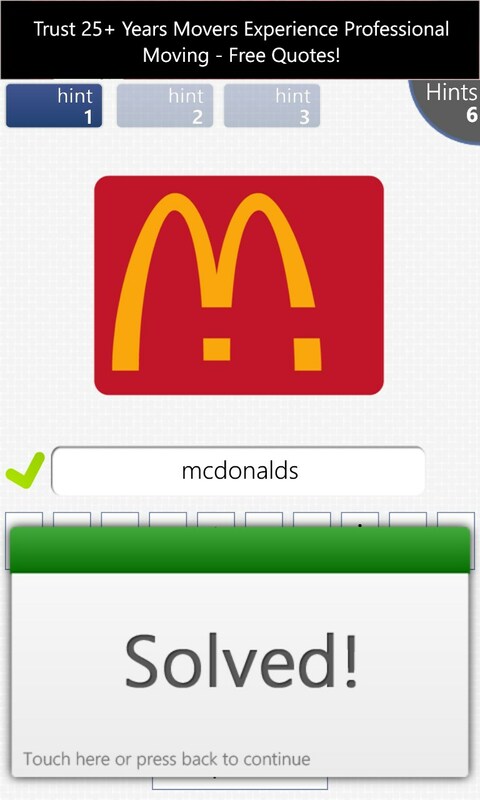 You can download the Logos Quiz game for free and train your brain over all the existing logos, however in case of complex issues you will need to buy hints. 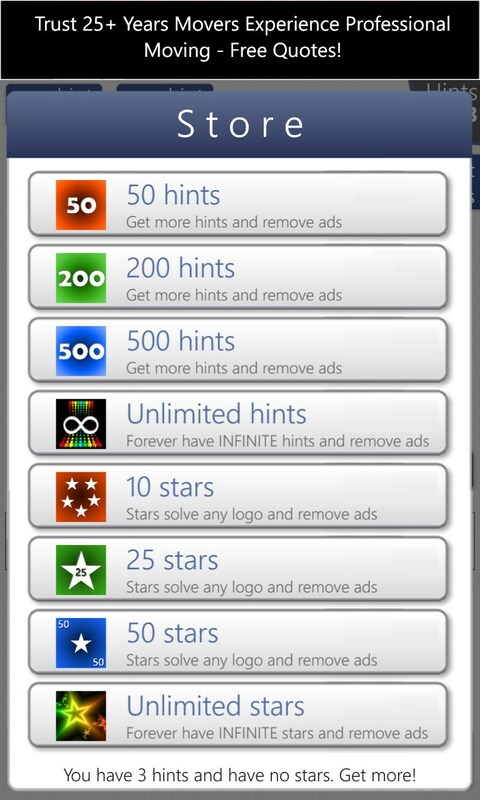 You can also buy the full version of the game which in addition to 640 challenges provides an unlimited number of clues. At the end of the review we want to say the only one thing. Whatever know-it-all you are, if you really grow carried away by this game, then buying it will cost you less than the free version with pay tips.